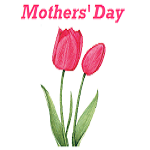 Our Mothers' Day events page is up! Treat mom to something special with a variety of activities and events! Make sure to check back often, as more events will be added as we hear about them.